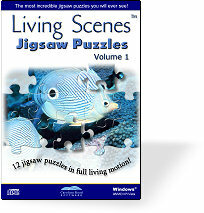 This page provides a preview of the computer jigsaw puzzles on the new Living Scenes Jigsaw Puzzles - Volume 3 CD. Click on the pictures below to see a larger view of each jigsaw puzzle. 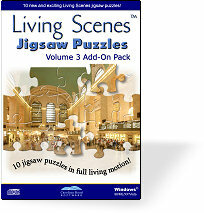 Living Scenes Jigsaw Puzzles - Volume 3 is available for $15.00 (US) and includes free shipping. Volume 3 is an add-on jigsaw puzzle collection and requires that you already have the Living Scenes Jigsaw Puzzles program from the Volume 1 CD. If you any questions please contact us at sales@livingscenes.com. Purchase your Living Scenes Volume 3 CD today! 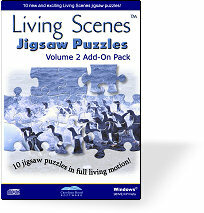 10 bonus still image computer jigsaw puzzles are also included on the Living Scenes Jigsaw Puzzles Volume 3 CD. Click Here to Purchase Your Volume 3 CD Today!